You will soon see I have a thing for graphic tees. 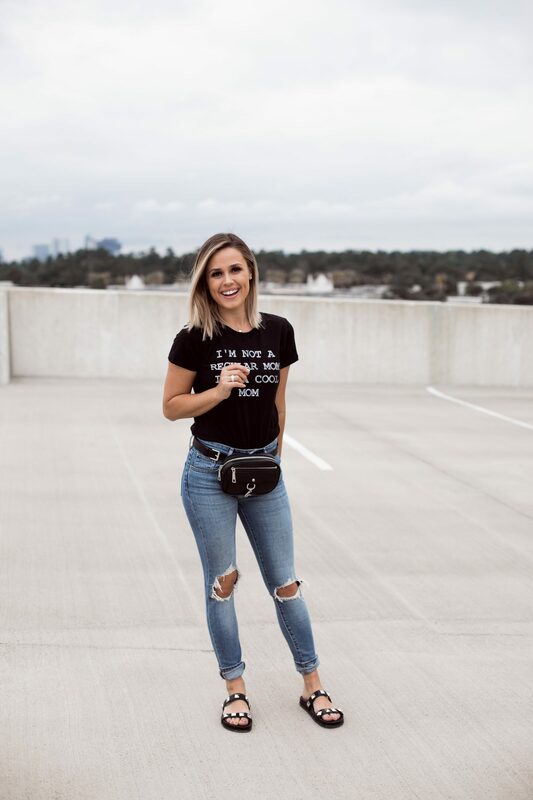 Graphic tees and I go waaaaay back. 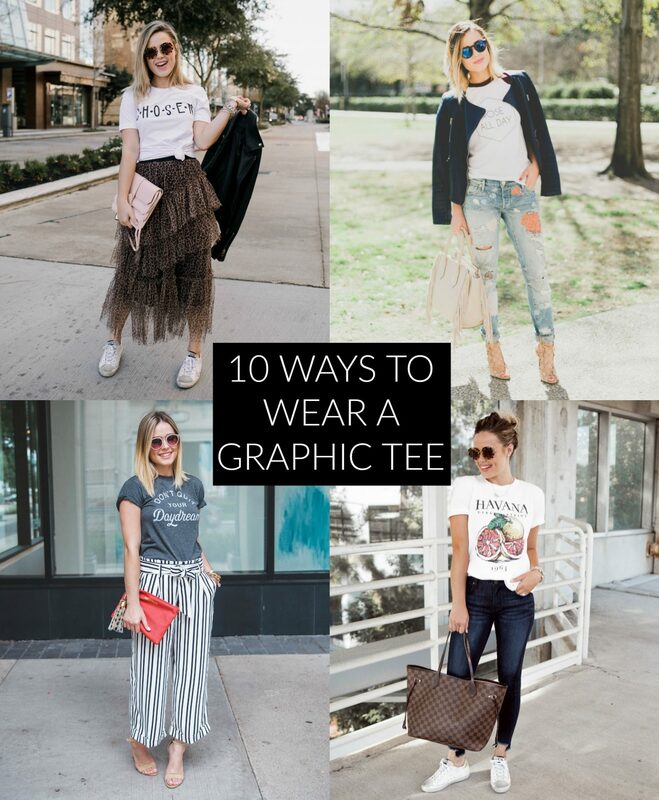 I got asked one day to share how actually to wear them, so here we are,10 ways to wear your graphic tees. Some of these outfits are new, and some from several years ago, rest assured I have gone back and updated links (not all of them are the exact item), and made sure to link similar items. 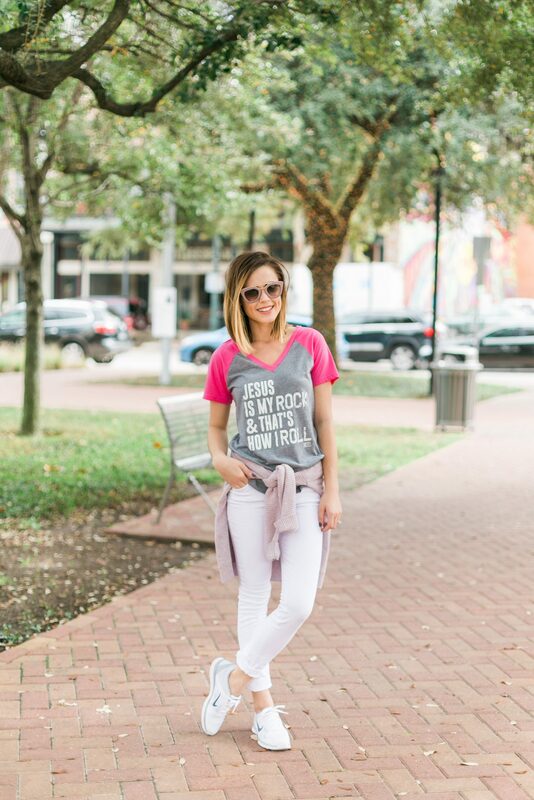 I want to share my love for graphic tees with you and show that you don’t always have to wear graphic tees with yoga pants. 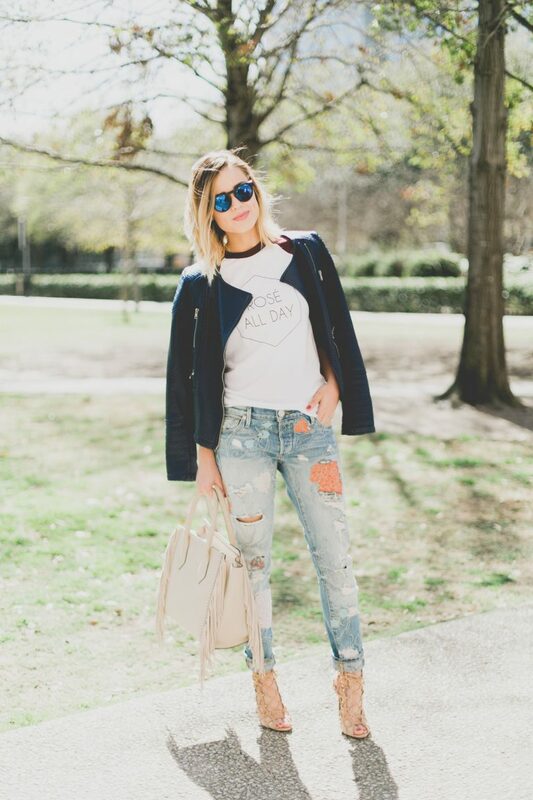 There are so many fun graphic tees out there that it’s almost a sin not to have at least 3 in your closet. 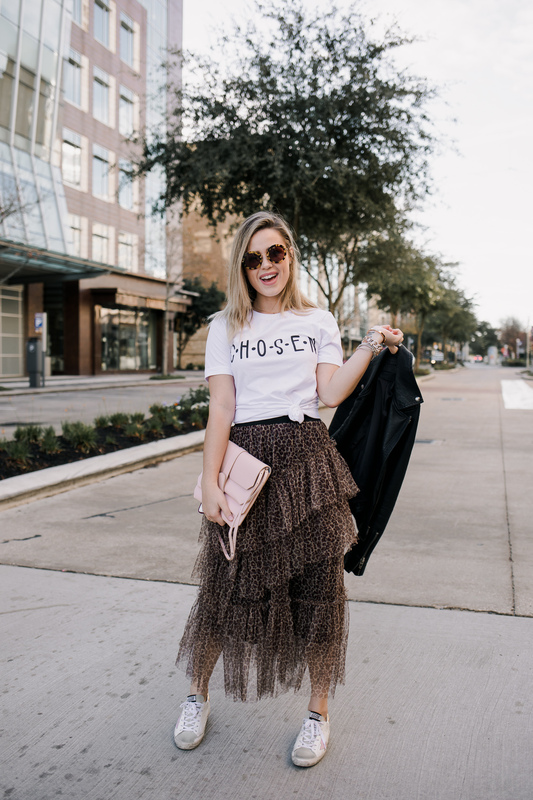 A few of my favorite brands are Sweetees, Prince Peter and Revolve has cool ones too! Comment below which one is your favorite outfit? Mine would be the first one!